Big Eye Defies Odds, Fills La Grande Hotel. Struggling musician Big Eye is one of those unfortunate people who has received all sorts of insults on social media. 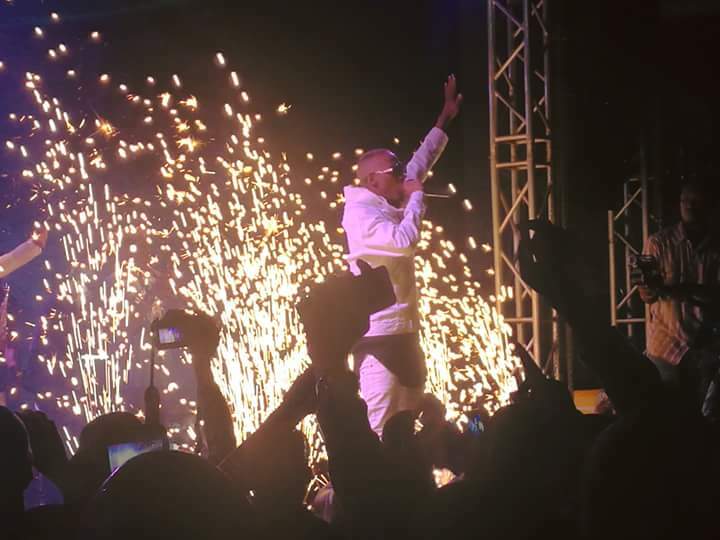 Last year he held a successful show at Freedom city and when it dropped to La Grande hotel Bwaise this year, everyone became a music critic bashing him for positioning a concert in a city suburb saying yagwamu (no longer having value). His former bonkmate Don Zella has time and again bashed the musician with endless insults on facebook branding him a musical dwarf. She has been posting and wishing the Wizkid show outshines Big Eye's but fortunately the show as cancelled. And amidst all this pressure self-contained singer managed to pull off a huge crowd at La grande hotel on Saturday night. 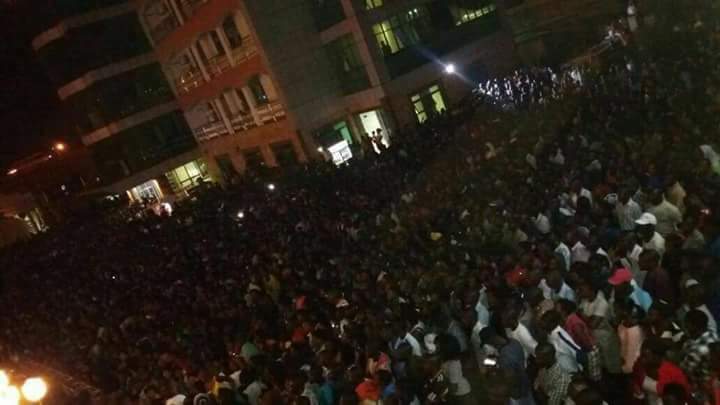 Chameleone, Bobi Wine, Captain Scooter, Azizi Azion among others curtain raised for him. 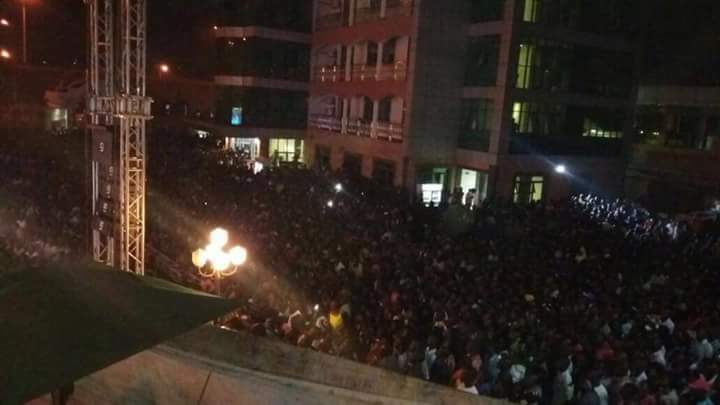 Revellers paid 10 and 20k for VIP.